It’s Wednesday afternoon and ideally, I still have power! Probably not though….check on my Facebook page. But none-the-less, I know you’re looking forward to the daily spirit-lifting I love providing, so enjoy…..
LOVE IT!! 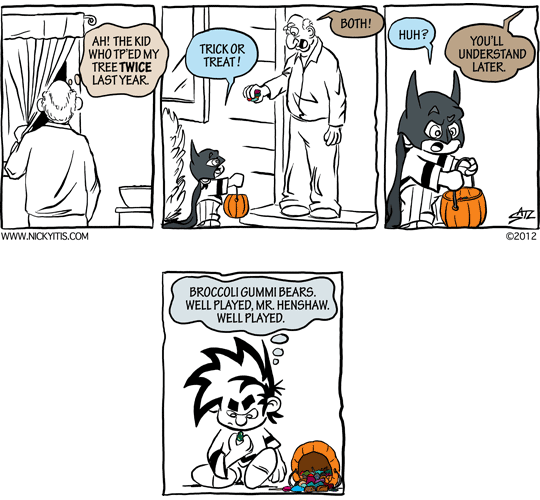 Nicky is one of my fav comics…..really smart stuff indeed. I’m waiting for the power to come back on….